Try this Simple Home Remedy if you are suffering from Migraine and Insomnia. This remedy makes use of the Nutmeg Seed which is normally used for culinary purposes. 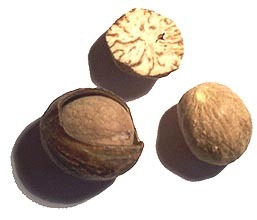 Nutmeg has also since the early middle ages been used in traditional medicine. Ground to a fine paste approximately ¼ of the Nutmeg Seed and take this paste along with water. This will give you sound sleep. Rub a Nutmeg Seed vigorously on a Baton Stone or any other flat stone used for cooking purposes along with some water. This will give you a thick watery paste of the Nutmeg Seed; applying this paste to your forehead will make you feel fresh and relieve you of your Migraine.